This Burns Night, Drambuie tempts discerning drinkers to celebrate Scotland’s national poet, Robert Burns, with more than just a wee dram. The origins of Drambuie lie in a secret recipe first created 269 years ago on the Isle of Skye off the West coast of Scotland. A blend of the finest aged Scotch whisky, spices and heather honey, Drambuie delivers a taste of the extraordinary that Scotland is proud to call its own. Tonight, try one of these specially created Drambuie cocktails to bring an unexpected spice and sweetening flavour to this most Scottish of occasions. 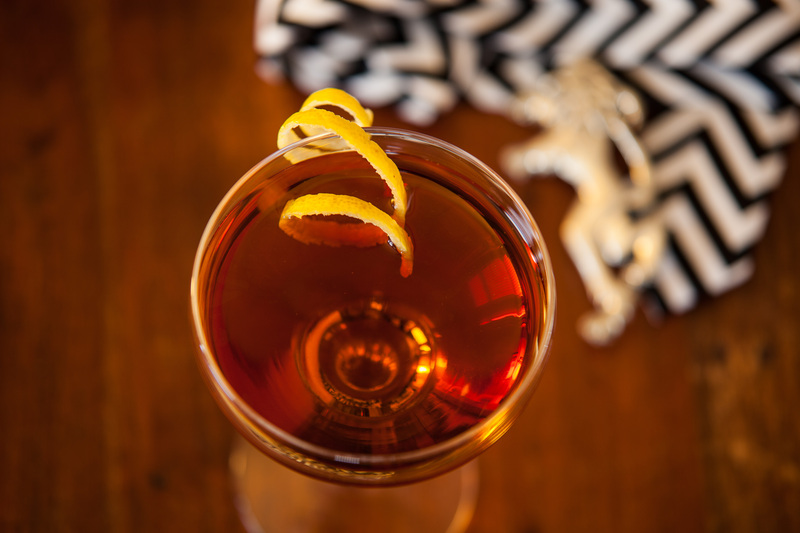 The Rusty Bobby Burns is inspired by The Bobby Burns from J.R. Sheridan’s cocktail bible, How to Mix Fancy Drinks, which was first published in 1901. A dash of Drambuie will bring a new depth of flavour and intrigue to this timeless recipe. The Rusty Robert Burns brings something even more special to Sheridan’s original recipe by using Drambuie 15 – a connoisseur’s expression of Drambuie that balances the secret Drambuie elixir with the finest 15 Year Old Speyside malts. In the Rusty Robert Burns, Absinthe and Maraschino marry perfectly with the soft Speyside malt character of Drambuie 15 to create an extraordinarily experimental cocktail in honour of Scotland’s favourite bard. The MacKinnon Punch, a deliciously refined drink with all the hallmarks of a classic Drambuie cocktail with an added fizz. Method: Fill a highball glass with ice and pour in the Drambuie. Top with soda water and add the Bitters. Gently stir. Squeeze in the lemon wedge and place in drink as your garnish. The Hot Apple Toddy is an interesting alternative to mulled wine. The hints of heather honey, hot apple juice and spice make it the ideal drink to serve for cold winter nights. The Dewar’s Delight is something for those who like to mix it up. Created and served at London’s sophisticated whisky spot, Salt, the cocktail combines Drambuie 15, Dewar’s Blended Scotch Whisky, Cocchi Americano aperitif and cardamom bitters.